I will openly admit that I am not a huge sports person. I cheer on my son at his baseball games, I watch some sports with Jim and I do enjoy a night at the ballpark or a day at the football stadium every now and then but I just do not bleed any team colors. What I am a huge fan of is all of the food the food that goes with cheering on the home team. 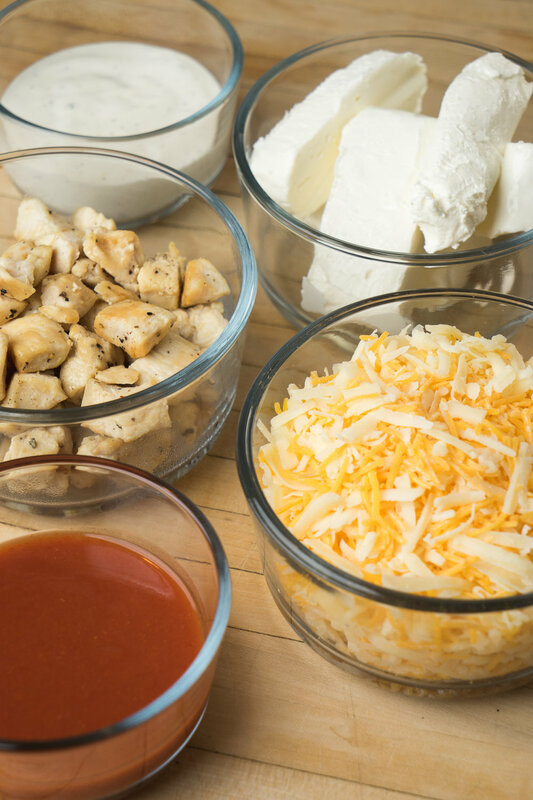 Big games mean big spreads of dips, chicken, pizzas, and chips all ready to be shared, passed around and savored. Add in a group of good friends to share the bounty with and (at least for me) win or lose, that day is a winner in my book! It was with the Super upcoming big game in mind that I was inspired to make this recipe. 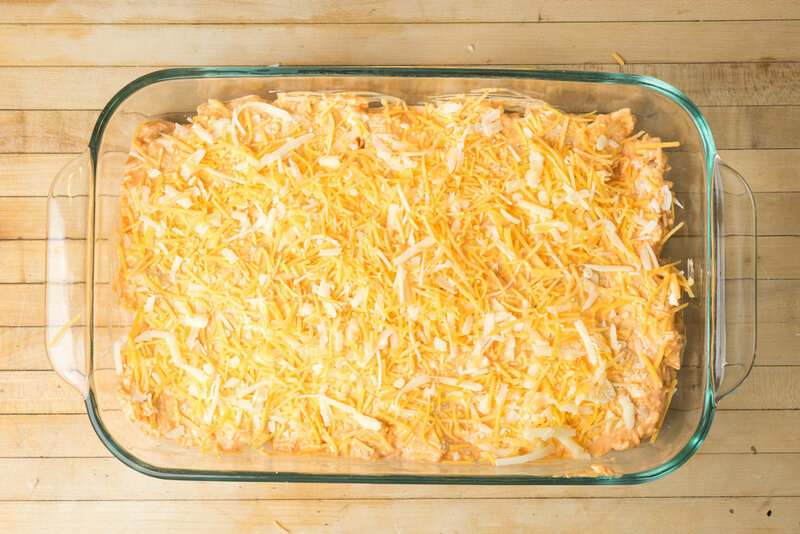 My Buffalo Style Chicken Dip combines one my absolute favorite things, melted cheese, with one of my favorite big-game eats, boneless buffalo strips. Add in the fact that I get to use chips to dip in it, can add veggies for good health on the side and don’t have to worry about getting sauce all over when enjoying it makes me think this one is a total food touchdown. 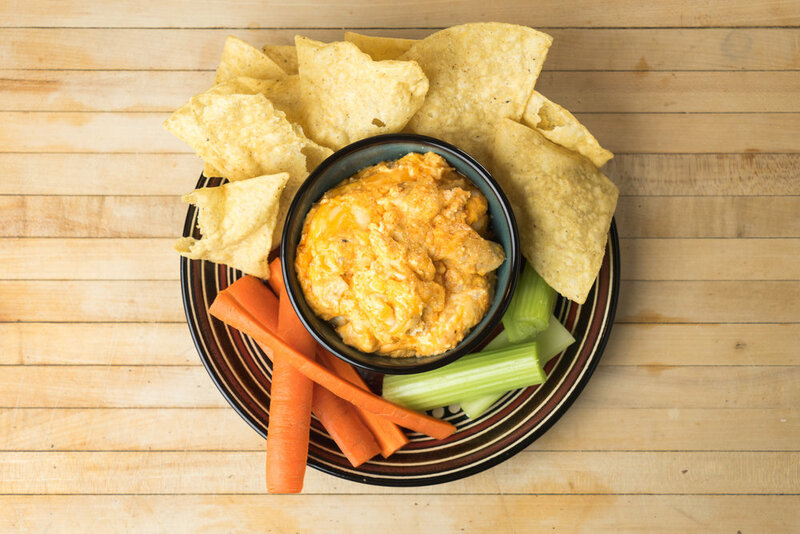 Serve with tortilla chips, veggies or your favorite way to dunk into this cheesy, spicy goodness! I prefer to shred my own sharp white Cheddar cheese, but packaged pre-shredded cheese can be used. For this recipe I mixed pre-shredded cheddar with white Cheddar I shredded myself and was quite pleased with the outcome. 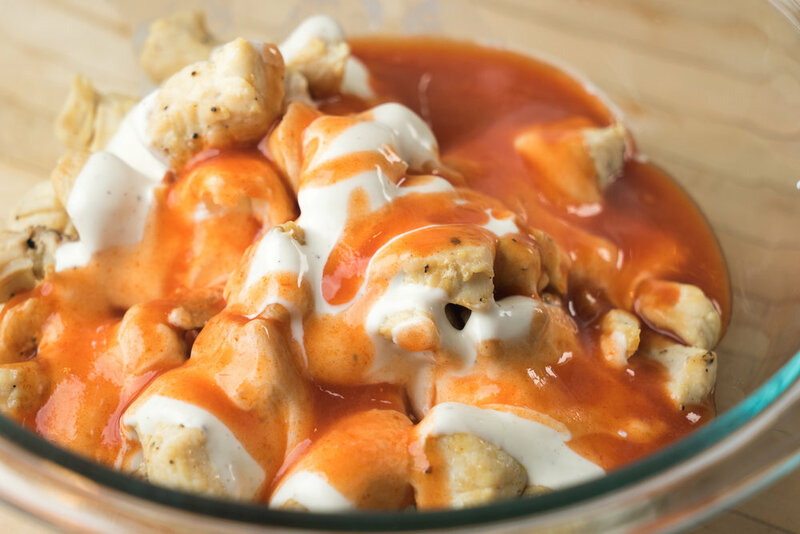 If you love to dunk Buffalo wings in creamy Blue cheese dressing, you may want to add 1/4 cup of crumbled Blue or Gorgonzola cheese to the mixture before baking. I like wings with the Blue cheese but have found in the dip it is a little overpowering.